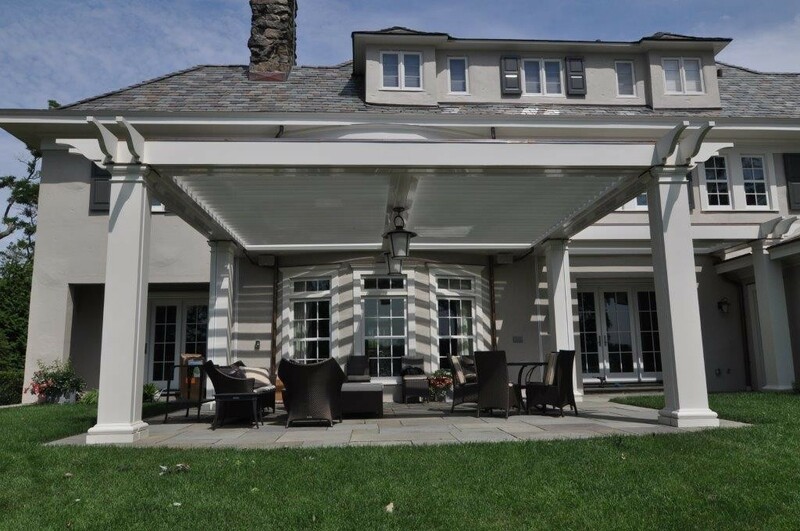 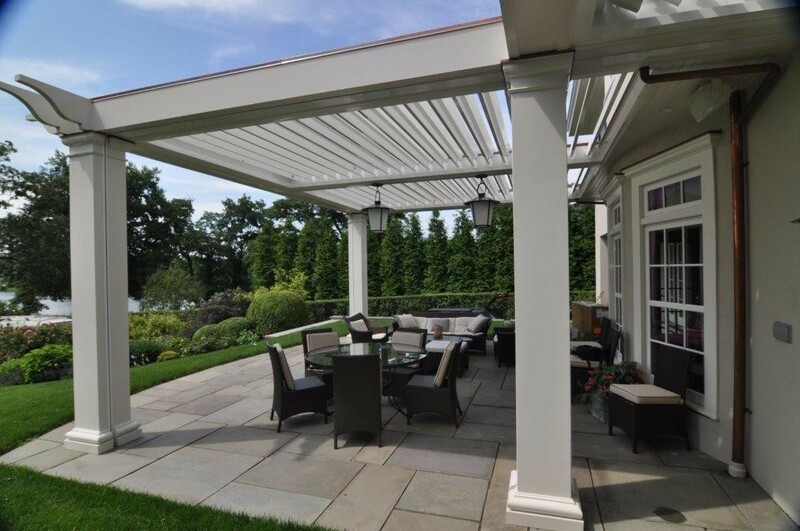 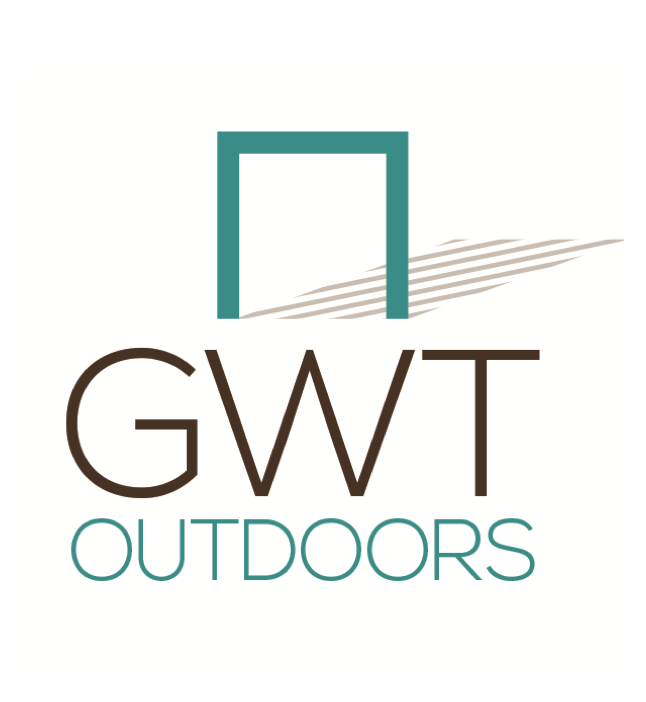 GWT is proud to offer Renson Terrace Coverings and Markilux Motorized Awnings to assist our customers with their outdoor shading needs. 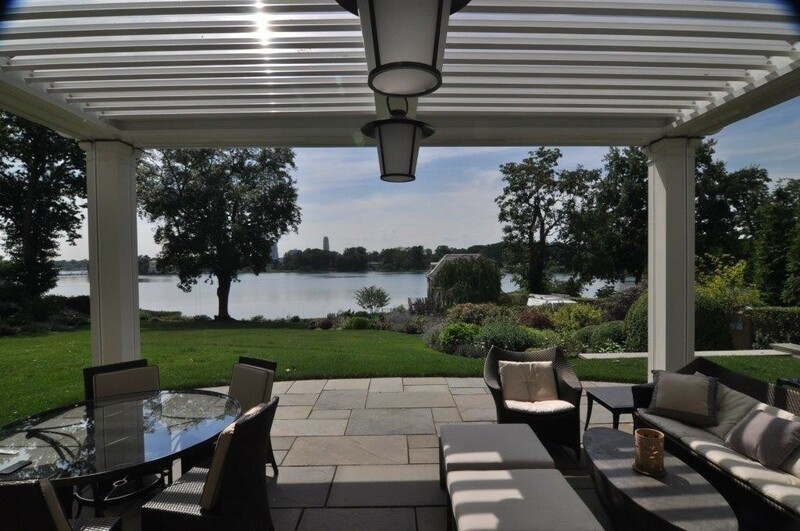 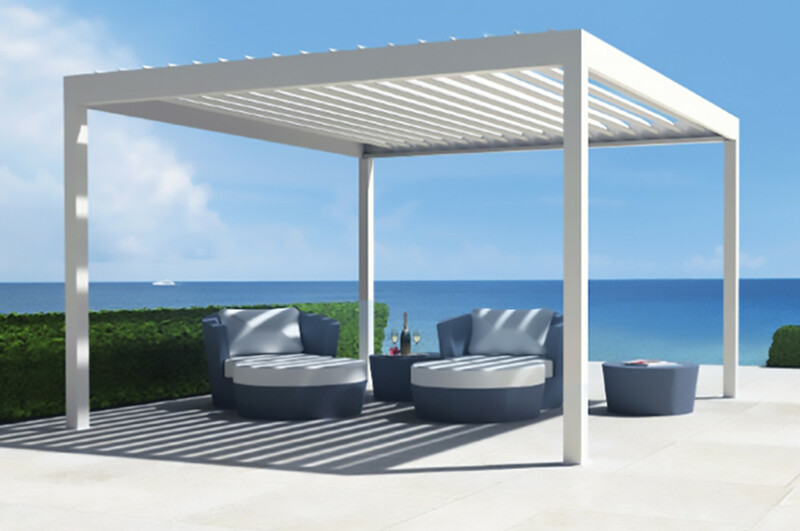 Belgium based Renson motorized aluminum pergolas offer sun protection and ventilation on the hottest of days and with the touch of a button will provide you with a waterproof roof and wind and insect proof side coverings when an enclosed space is desired. 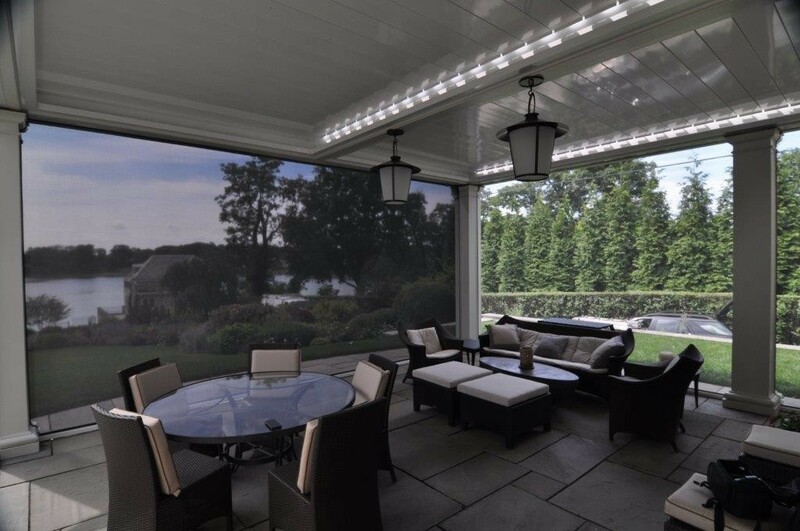 The sun protective roofs consist of motorized blades that can be adjusted so that you never receive more sun and UV rays than desired. 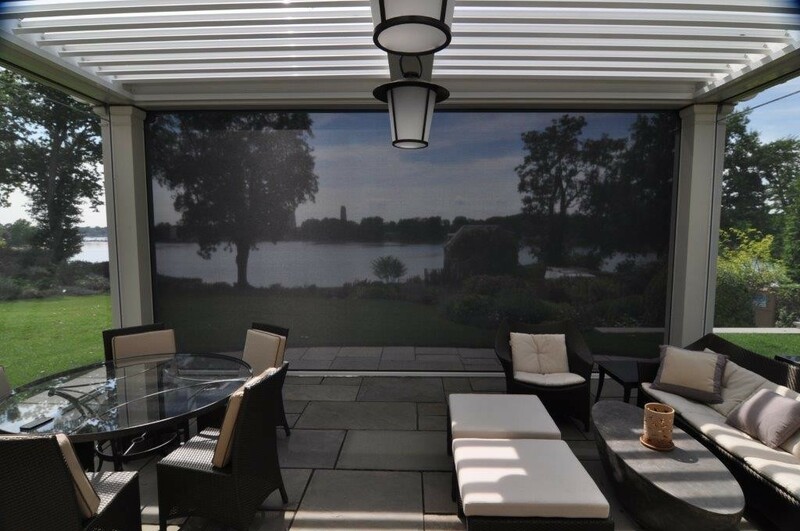 Windproof side screens can drop down to completely enclose your outdoor space creating a stylish oasis against the elements. 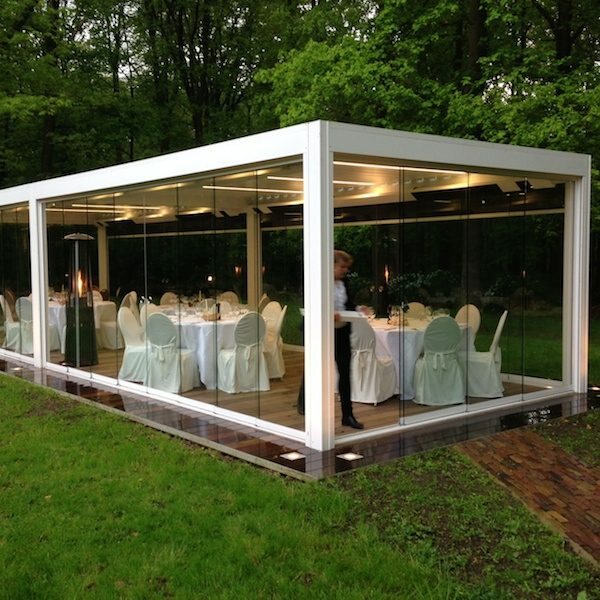 Please click here to download the Renson brochure. 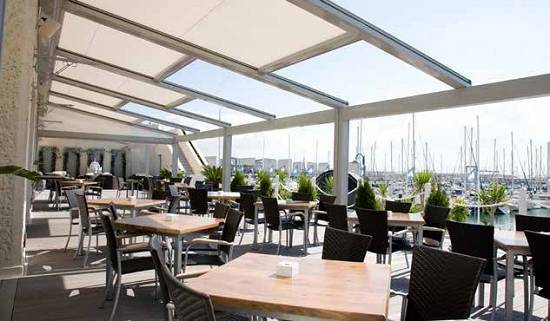 Markilux Motorized Awnings are fabricated in Germany and offer state of the art technology to ensure problem-free operation. Their products are designed to be timeless in style and operate for a small eternity. 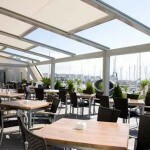 Fully encompassing cassettes can be selected so that when retracted your awning sits in a wind free, weather free and dirt free environment assuring the awning will operate as smoothly and remain as attractive as it did on the very first day. 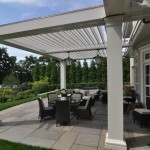 Vibrabox sensors for dynamic wind loads help protect your awning investment from sudden weather or wind gusts by sensing changes in wind speeds and retracting automatically to reduce wind damage to fabrics and mechanical operation. 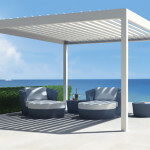 For more information on either product please click here and a representative will reach out to you shortly.